Innovative designs to help around the kitchen. Lever action. 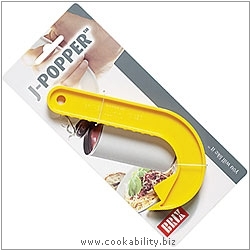 The J-Popper works on most ring pull cans. No more broken finger nails! We may ship you the product in a different colour to that shown in the picture.